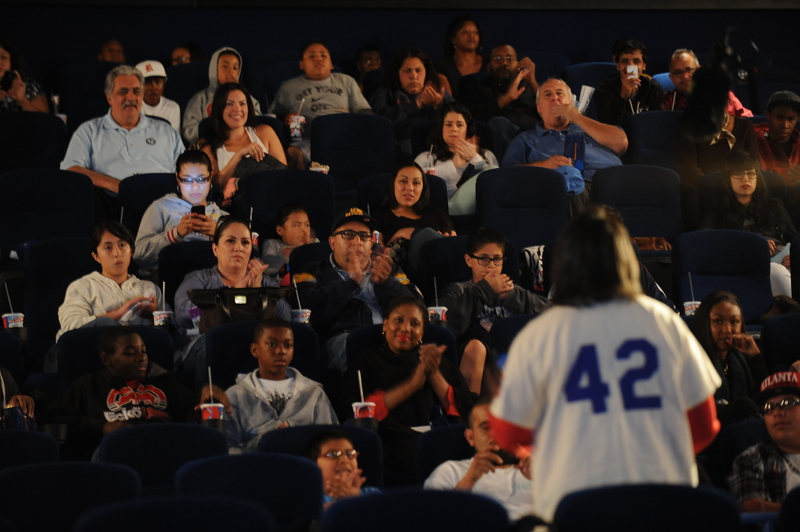 On April 13, the Dodgers and MLB hosted a private screening of the movie “42” for more than 200 youth from Reviving Baseball in Inner Cities (RBI) Los Angeles. 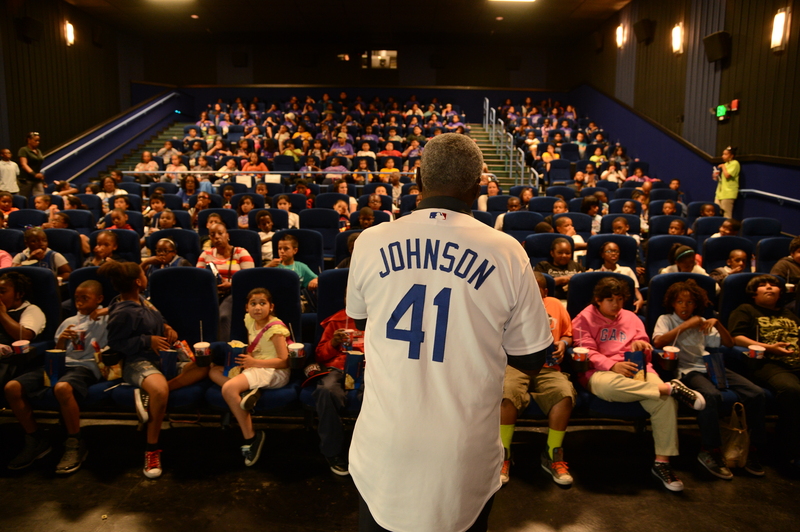 Dodger Alumni “Sweet” Lou Johnson and Derrel Thomas joined the youth for the screening to talk about how Jackie Robinson inspired them. Also in attendance were RBI Director David James and Jackie’s niece Kathy Robinson Young. The youth in attendance were from the Venice Boys & Girls Club RBI, LA Recreation & Parks RBI and the MLB Urban Youth Academy in Compton.